A vibrant Aston Villa eased their Premier League relegation worries with an emphatic win over Blackburn Rovers. Ashley Young's penalty put Villa ahead after a Keith Andrews foul. Marc Albrighton's low cross went in off Rovers defender Grant Hanley before Stewart Downing raced clear and guided in a shot to put the home side 3-0 up. Nikola Kalinic's deflected shot looped into the Villa net but Young fired in to reassert his side's advantage before Ryan Nelsen was sent off for Rovers. At one point the "Ole's" rang round Villa Park as the home side dominated and produced some eye-catching football with England manager Fabio Capello watching from the stands. Capello had opted to cast his eye over a number of Villa's English contingent and was not left disappointed. Darren Bent, Ashley Young, Stewart Downing and Kyle Walker were all in Capello's last squad and each played a vital part as they moved the Midlands outfit a step closer to top-flight safety, leapfrogging Rovers in the process. Winger Albrighton will also have impressed the Italian as he epitomised the exuberance and energy which overwhelmed a Blackburn side with only retired England international Paul Robinson of fleeting interest to Capello. This was the ninth meeting between these two sides since the start of last season, with Villa having won the five games in cup competitions and Rovers the three league fixtures. With the benefit of familiarity, Rovers deployed a defensive formation in the hope of containing Villa and catching their rivals out with a set piece or counter attack. But it proved a flawed strategy as Villa gradually got in their groove and eased to the three points, with 37-year-old Robert Pires providing a touch of elegance to proceedings. The former French international was involved in some clever interplay with Bent, who went down after appearing to be caught as he tried to turn Hanley, only for referee Martin Atkinson to wave away any penalty appeals. But, after Nelsen headed over for Rovers, Villa continued to press and Pires had a well-struck shot fended away by the increasingly busy Robinson. The Rovers keeper had to keep out a long-range Walker strike, with Young ballooning the rebound high. 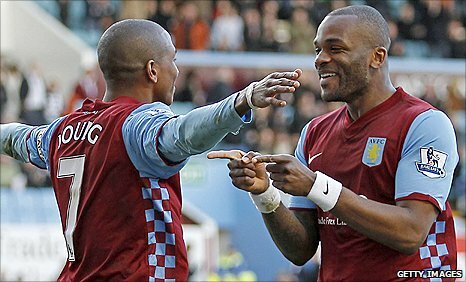 Bent might have done better when he was inadvertently played in on goal courtesy of a Morten Gamst Pedersen back pass but, rather than taking a first-time shot, the Villa striker tried to cut inside and was foiled by Nelsen. Villa's failure to take their chances almost cost them at the start of the second half when Roque Santa Cruz dispossessed Villa centre-back Richard Dunne and played in Jermaine Jones, whose shot was saved by Brad Friedel. However, Rovers midfielder Andrews helped Villa take the lead from which the home side never looked back. Andrews responded to being robbed of the ball by Young by hauling his rival down and the Villa player picked himself up to score from the spot. The goal gave the home side added impetus and they added to their lead when a spell of concerted pressure ended when Albrighton's low cross was diverted into his own net by Hanley. Rovers boss Steve Kean brought on strikers Jason Roberts and Kalinic and, although the latter managed to get a consolation goal, Rovers never looked like turning the tide. Instead, Downing raced in from the right and curled home a shot before setting up Young to steer in a strike either side of Kalinic's effort as Villa threatened to win even more convincingly. Rovers' misery was complete when their captain Nelsen, who played at the end of a worrying week following the earthquake in his hometown of Christchurch, was sent-off for a second yellow after hauling down Young. 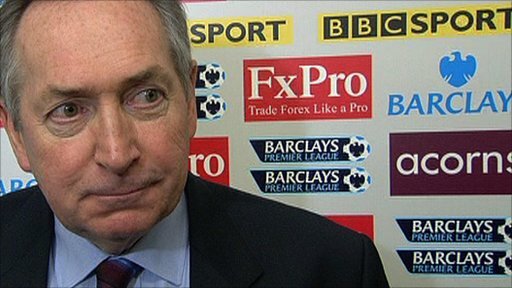 "We set up to try and nullify Villa through the middle of the pitch by playing three in there. 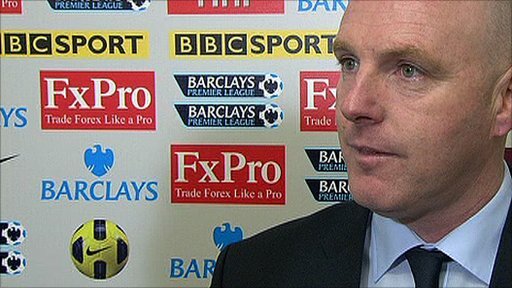 "We were excellent in the early part and trying to get a clean sheet as a platform. "Villa started to get on top just before half-time and I felt we were getting a little bit deep. "We said it was important to keep it tight for the first 15 minutes of the second half and then hopefully the crowd would get restless. "Before the penalty we had a great chance ourselves and Brad Friedel made a good save and a minute later we are a goal down. "It is a bad day after that. We found ourselves chasing the game and being a little bit open." 90:00+4:14 The referee blows for the end of the match. 90:00+3:40 Stewart Downing takes a shot. Martin Olsson gets a block in. 90:00+2:46 Foul by Ryan Nelsen on Ashley Young, free kick awarded. Stewart Downing restarts play with the free kick. 90:00+2:46 Sent off Ryan Nelsen shown a red card. 90:00+1:24 Morten Gamst Pedersen produces a cross. 88:45 Stewart Downing sends in a cross, clearance made by Ryan Nelsen. 87:44 Close range effort by Emile Heskey goes wide of the right-hand upright. 85:25 Steven Nzonzi concedes a free kick for a foul on Ashley Young. Shot comes in from Ashley Young from the free kick. 83:17 Nikola Kalinic has shot on goal from just outside the area which goes wide of the right-hand upright. 82:31 Substitution (Aston Villa) makes a substitution, with Emile Heskey coming on for Darren Bent. 81:33 Assist by Stewart Downing. 81:33 GOAL - Ashley Young:Aston Villa 4 - 1 Blackburn Ashley Young scores a goal from deep inside the penalty area to the top right corner of the goal. Aston Villa 4-1 Blackburn. 80:04 Brett Emerton provided the assist for the goal. 80:04 GOAL - Nikola Kalinic:Aston Villa 3 - 1 Blackburn Nikola Kalinic finds the net. Aston Villa 3-1 Blackburn. 78:28 Substitution Steven Nzonzi replaces Keith Andrews. 75:49 Marc Albrighton crosses the ball, Martin Olsson manages to make a clearance. 75:01 Substitution Stiliyan Petrov comes on in place of Robert Pires. 71:47 Effort from the edge of the area by Ashley Young goes wide of the right-hand post. 71:06 Marc Albrighton takes a shot. Paul Robinson makes a save. 69:23 Marc Albrighton concedes a free kick for a foul on Brett Emerton. Direct free kick taken by Michel Salgado. 68:56 Marc Albrighton takes a shot. Save by Paul Robinson. 65:37 Substitution Vincenzo Grella goes off and Jason Roberts comes on. 65:37 Substitution (Blackburn) makes a substitution, with Nikola Kalinic coming on for Roque Santa Cruz. 63:17 Assist on the goal came from Ashley Young. 63:17 GOAL - Stewart Downing:Aston Villa 3 - 0 Blackburn Stewart Downing scores a goal from inside the penalty box to the bottom left corner of the goal. Aston Villa 3-0 Blackburn. 62:41 Booking Booking for Ryan Nelsen for unsporting behaviour. 61:52 Assist on the goal came from Marc Albrighton. 61:52 GOAL - Grant Hanley:Aston Villa 2 - 0 Blackburn Grant Hanley concedes an own goal. Aston Villa 2-0 Blackburn. 61:20 Stewart Downing takes a inswinging corner. 61:07 Stewart Downing decides to take the corner short. 60:38 Inswinging corner taken right-footed by Ashley Young played to the near post, Grant Hanley manages to make a clearance. 59:59 Corner taken short by Ashley Young. 59:16 Stewart Downing takes the inswinging corner, clearance by Jermaine Jones. 57:45 The ball is crossed by Vincenzo Grella, save by Brad Friedel. 50:35 Foul by Jermaine Jones on Nigel Reo-Coker, free kick awarded. Ashley Young takes the free kick. 48:41 Keith Andrews concedes a Penalty for a foul on Ashley Young. 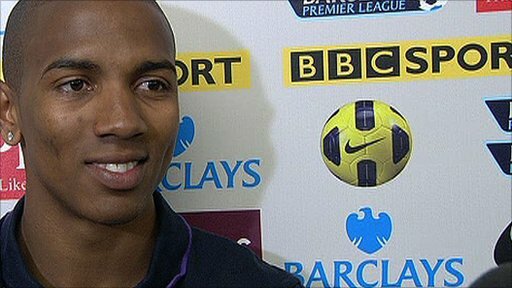 48:41 GOAL - Ashley Young:Aston Villa 1 - 0 Blackburn Penalty scored by Ashley Young. Aston Villa 1-0 Blackburn. 47:30 The ball is sent over by Kyle Walker, clearance made by Ryan Nelsen. 45:42 Outswinging corner taken from the left by-line by Morten Gamst Pedersen, Nigel Reo-Coker manages to make a clearance. Stewart Downing takes a shot. Michel Salgado gets a block in. Inswinging corner taken left-footed by Stewart Downing, clearance made by Jermaine Jones. 45:23 Jermaine Jones takes a shot. Save by Brad Friedel. 45:00+2:58 The players leave the pitch at half time. 45:00+1:52 Free kick awarded for a foul by Vincenzo Grella on Robert Pires. Stewart Downing restarts play with the free kick. 45:00+1:52 Booking Vincenzo Grella is shown a yellow card for unsporting behaviour. 45:00+0:03 Corner taken right-footed by Ashley Young to the near post, clearance made by Keith Andrews. 43:55 Foul by Ciaran Clark on Jermaine Jones, free kick awarded. Paul Robinson restarts play with the free kick. 43:43 Robert Pires takes a shot. Save by Paul Robinson. 42:47 Morten Gamst Pedersen challenges Kyle Walker unfairly and gives away a free kick. Kyle Walker takes the direct free kick. 42:17 Effort from deep inside the area by Ashley Young clears the bar. 42:05 Kyle Walker takes a shot. Save by Paul Robinson. 40:45 Robert Pires takes a shot. Save made by Paul Robinson. 38:54 Stewart Downing is flagged offside by the assistant referee. Indirect free kick taken by Paul Robinson. 35:23 Substitution Fabian Delph is brought on as a substitute for Nathan Baker. 34:31 Stewart Downing fouled by Morten Gamst Pedersen, the ref awards a free kick. Brad Friedel takes the free kick. 32:25 Free kick awarded for an unfair challenge on Paul Robinson by Nathan Baker. Free kick taken by Paul Robinson. 32:20 Stewart Downing delivers the ball, save by Paul Robinson. 31:19 Free kick awarded for a foul by Keith Andrews on Kyle Walker. Direct free kick taken by Stewart Downing. 30:22 The referee penalises Roque Santa Cruz for handball. Indirect free kick taken by Brad Friedel. 29:15 Robert Pires has an effort at goal from just outside the box which goes wide of the right-hand upright. 27:25 Nigel Reo-Coker gives away a free kick for an unfair challenge on Jermaine Jones. Vincenzo Grella takes the free kick. 25:53 Stewart Downing takes a shot. 23:52 Corner taken left-footed by Morten Gamst Pedersen, Close range headed effort by Ryan Nelsen misses to the right of the goal. 22:43 Unfair challenge on Robert Pires by Jermaine Jones results in a free kick. Nigel Reo-Coker takes the free kick. 22:43 Booking The referee cautions Jermaine Jones for unsporting behaviour. 22:25 Morten Gamst Pedersen sends in a cross, clearance made by Marc Albrighton. 20:26 Stewart Downing sends in a cross, clearance made by Ryan Nelsen. 17:08 Martin Olsson has an effort from just inside the box that misses to the left of the target. 15:53 Vincenzo Grella concedes a free kick for a foul on Ashley Young. Free kick taken by Robert Pires. 11:39 Stewart Downing takes a outswinging corner to the near post. 10:03 Darren Bent takes a shot. Paul Robinson makes a save. 5:09 Stewart Downing takes a outswinging corner from the left by-line played to the near post, Effort on goal by Robert Pires from just inside the area clears the crossbar. 5:02 Centre by Marc Albrighton, blocked by Michel Salgado. 3:33 Ashley Young takes the outswinging corner, Vincenzo Grella makes a clearance. 3:00 Stewart Downing fouled by Martin Olsson, the ref awards a free kick. Free kick crossed by Ashley Young, clearance by Keith Andrews. 1:27 Free kick awarded for an unfair challenge on Kyle Walker by Keith Andrews. Free kick taken by Kyle Walker.